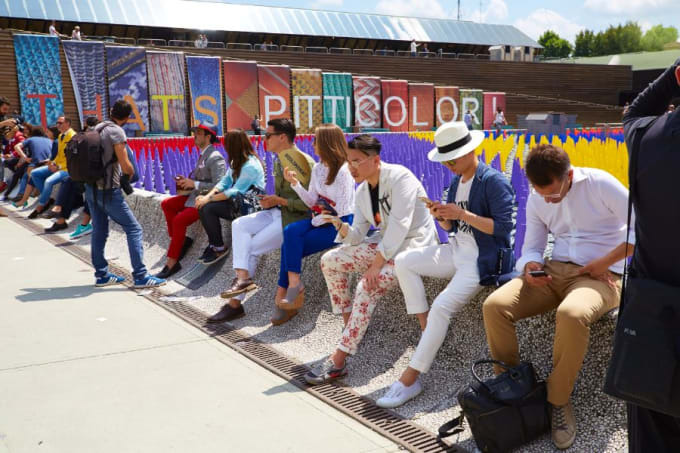 As a tradeshow, Pitti Uomo is stuffed to the gills with plenty of brands—though admittedly, that doesn't mean that each one is truly something to write home about. Even more, while Pitti Uomo is quintessentially Italian in nearly every way, almost half of the brands are coming from outside of Italy's borders. As a fashion culture, Italy is known for tailoring, and rightfully so: the country has informed much of what the world knows and expects today in regards to quality leather working and tailored clothing. But anyone who's seen even a few street style photos, and shopped at their local suit store can tell you that much. In the interest of going off the beaten path, we scoured Pitti Uomo 88 to look for brands that turned tradition on its head—or threw it away altogether. Sure Florence is a great place to discover the next best suiting designer, but the presenters inside the Fortezza da Basso are proving that "Made in Italy" means a lot more than double-breasted suiting and sprezzatura. These are The Coolest Italian Brands We Saw at Pitti Uomo​.